Sebastopol Real Estate is highly desirable because of its rural, agricultural environment, and yet it is very close to all services in Santa Rosa and Highway 101. It is known for its small town appeal, its support of the arts, and its rich agricultural appeal. Many people are looking for land for sale where they can have livestock, vineyards, or gardens. 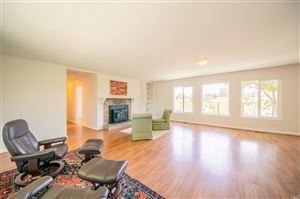 However, Sebastopol Real Estate listings also include single family homes for sale in Sebastopol, foreclosures, vineyard estates, as well as Sebastopol homes for sale by owner. It's population is only 7,774 people with 3,250 households, which makes it perfect for those who want to be able to walk through town and recognize their friends in the community! Stunning apple orchards that produced the world famous Gravenstein apple used to cover this region. Today the community continues to host annual apple festivals including the Apple Blossom Festival and the Apple Fair. These events draw the surrounding communities, as well as visitors from the bay area, to join in and celebrate the heritage of this historical town. Since the rise of the wine industry and the slow food movement, the orchards have given way to vineyards and organic family farms, but Sebastopol Real Estate continues to thrive as this new landscape draws in new clients looking for rural properties. One of the universal questions in Real Estate is whether the buyer is looking for a home that they can purchase as is, or if they are looking for land that they can build a home on. Due to strict building requirements in Sonoma County and limitations on the installation of septic systems, it’s much easier to buy a home, than it is to find land that you will be able to build on, however that does not mean that building is impossible. Sebastopol Real Estate Is very diverse in structure and has everything from townhouses to farmhouses. It includes everything from breathtaking vineyard estates to adorable country homes with acreage that is great for farming and gardening. There are a wide range of homes that have been listed on the MLS for Sebastopol real estate and one thing that most of them have in common is that Sebastopol Real Estate listings are not listed for very long before they go contingent. Whether you are looking for a small Victorian cottage next door from your local yoga studio or a luxury wine estate, this community has something for everyone seeking Sebastopol Real Estate. The town was first formed in the 1850s as a local trade center for farmers. However, as the westward migration took hold during the Gold Rush, more people began to make their way into the fertile California valleys, settling in this small town to try their hand at farming. It quickly became known as the Gravenstein Apple Capital of the World as the booming industry made this small town prosper. In 1890 the San Francisco and North Pacific Railroad connected it to the rail network, and by 1902 it had schools, churches, canneries, mills, and wineries filling it out. The 1906 earthquake turned most of the town, except for the US Post Office, to rubble but it wasn’t long before the community had bound together to restore it to its former glory. By the 1980’s the railroad tracks had been removed, the canneries and apple processing plant that had been downtown had been removed, and vineyards had replaced most of the apple orchards. Today the town remains rural, still dotted with apple orchards. The town is rich with quaint shops, while the outskirts of town are home to small housing developments, vineyards and family farms. It now has a Chamber of Commerce that has great information about upcoming events, local business, and the town’s history! To learn more about Sebastopol Real Estate and History call 707-217-1786 now!